2010 January | Thanks a Glatt! I get a lot of searches recently looking for more information on him and his kosherness/validity. Does anyone have more information? PLEASE share in the comments what you know as well as which restaurants he is supervising and I will compile a list of everything and post it soon. 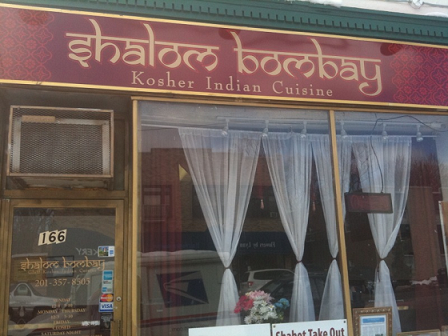 I read here that he allows restaurants to be open on Shabbat which is a no-no for the Frum community. His reasoning is that it gives Jews (non-orthodox, obviously) the choice to eat somewhere that is at least kosher instead of going elsewhere. I can see how this may be a semi-OK excuse for somewhere outside of NY but in NYC there are many kosher and non kosher places and this is a pretty lame excuse. 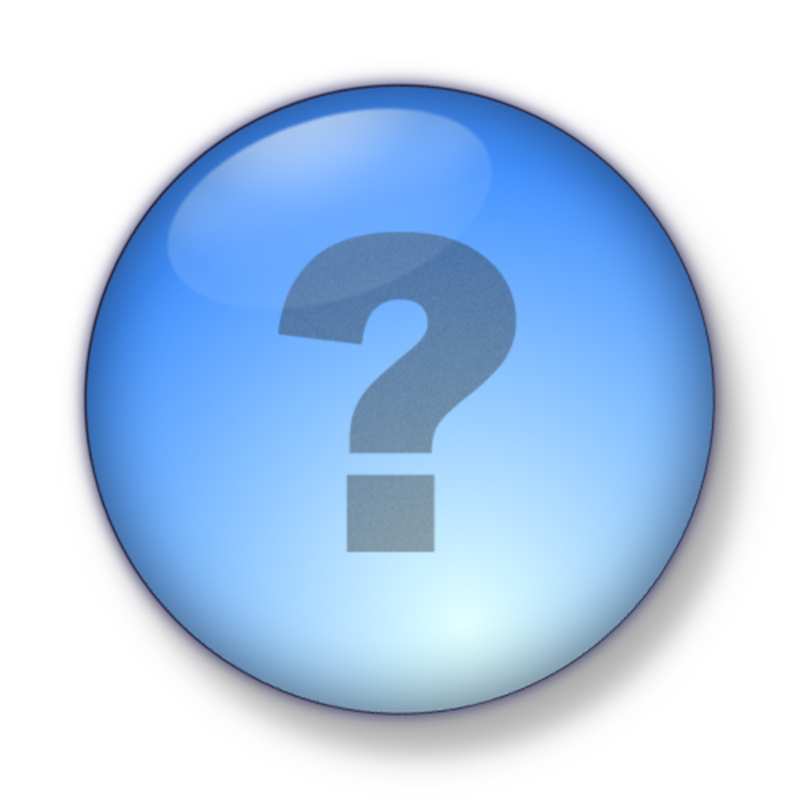 Like I said please drop me a line in the comments and let me know what you know so we can get to the bottom of this! The Prime Grills new restaurant, Prime KO is under construction and set to open up towards the end of February. The Japanese Steakhouse and full Sushi bar (sounds like another Sushi Metsuyan/Estihana) claims it will have moderate pricing (not sure what that means in the Kosher restaurant biz). There will be two party rooms that can accommodate up to 100 people so there may finally be somewhere else to go other than Clubhouse to celebrate. Do you think you will eat there?? 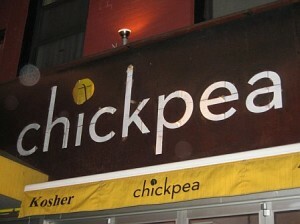 Chickpea is now Kosher again! In breaking news, two of Chickpeas stores are kosher again. The locations have now been verified as Glatt kosher (yay!!) under the supervision of Rav Israel Steinberg of the Vaad Harabonim Lemeshmeret Hakashrut. Does anyone want to guess how soon it will be until they decide to change their name and go un-kosher again? I’ll give them two weeks, max. 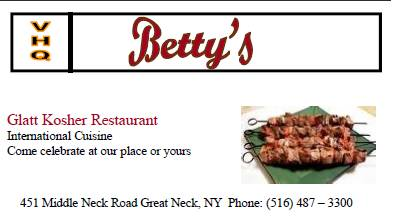 All the buzz in Great Neck lately is to go try the Persian food at Betty’s. After years of Colbeh I would have to agree with everyone that someone has to be able to make Persian food better so this time it’s Betty’s turn. Located in Great Neck off of Middle Neck Road Betty’s is a totally new restaurant. The decor is typical of a Persian restaurant with its Persian tapestries and paintings around the place. We happened to go on a Tuesday night with a large crowd (approximately 20 people – it was my wedding “rehearsal” dinner). There was a small Persian band playing, I am not sure if they have these guys regularly however the acoustics were not so good in the room which caused our ears to hurt while the played because the music was so quiet loud. Funny though that no one asked them to turn it down. Some of our group got up and danced around which drew stares from the other patrons but we did not mind because of the occasion. Like most new restaurants they tend to lack in some areas (hence the negative review, see below) – especially for large crowds and Betty’s was no different in terms of service and food. We started off with some beers which WE had to ask for. I don’t get why kosher restaurants don’t put more emphasis on beverage purchases and be more pro-active in getting people to order them because that is where your biggest profits are in the food industry. The guy was slow to bring the drinks out and didn’t push us to get drinks like they should be doing. We ordered combination’s (if you don’t know, a combination at a Persian restaurant usually consists of a few different types of rice, Persian salad, and a few types of kebabs) for everyone to ease the ordering process. Although the waiters service was good they were understaffed and one side of our group would get food while the other would have to wait a few minutes till they got theirs which is not fun. While the portions were good the kebabs were all just OK (too salty) and nothing special. I actually think Colbeh is better and that is not saying much. 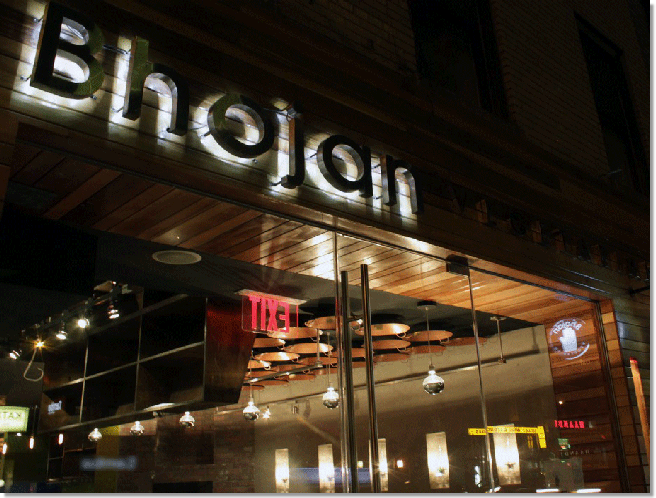 Yes, it’s a new restaurant and yes we had a large crowd and some new restaurants cannot cook to par for large groups. But that is part of the food business and I hope they can get their act together in these areas of they plan to last, especially since they are trying to do catering as well. Overall, I wasn’t satisfied with eating here, however I will try to make it back again (if they are still around) with a small group to see if they can do any better.